The Republican Party chairman has called Donald Trump as the Democrats ratcheted up their efforts to tie the presidential candidate and his outspoken comments regarding immigrants and immigration to all presidential candidates from the GOP. Reince Priebus the GOP chairman and Trump spoke on Wednesday over a range of different topics, said the Republican National Committee press secretary Allison Moore. 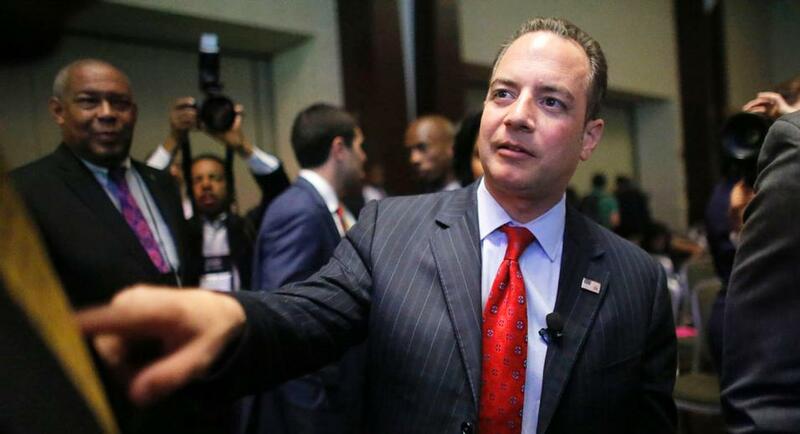 The call from Priebus to Trump came amidst rising anxiety with Republicans about Trump, who lost a number of his business deals following his comments that many Mexican immigrants were rapists and criminals. Yet the presidential campaign of Trump has gained strong support in many early polls of Republicans. A national daily said that the chairman of the party urged Trump to tone down the inflammatory comments regarding immigration that have upset a key constituency in the election. The call has underscored the extent of which Trump has gone from being just an embarrassment to the party to causing serious worry amongst the top Republicans not just in Washington but nationwide. The growing vote amongst Hispanics is considered a big key to the electoral success for 2016 and years beyond. Trump said he was addressing the illegal immigration problems, saying he had a great relationship with people from Mexico and he has many working with him now. He said that if he were to win the nomination he would win the Hispanic vote. Democrats have enjoyed what has taken place. A video was released on Thursday by the Democratic National Committee seeking to link immigration comments by Trump to other candidates amongst the Republicans. The majority of presidential candidates in the Republican Party have denounced what Trump said for linking migrants from Mexico to criminality. Jeb Bush said he thinks the party needed to be more hopeful and optimistic with its ideology. Bush sidestepped the question of whether Donald Trump was bad for the rest of the Republican Party by saying he wanted to focus on the message of the GOP of limited government, individual liberties and personal responsibility.